"Before we can tackle tough questions we must come together and answer the easy ones." The Restorative Center's mission is to develop a community-centered model of restorative justice that creates the structure and space for communities to discover and activate their ability to work together toward their own well-being. TRC hosts Community Circles as the means for opening up a new kind of community dialogue and inter-connectedness, to create a social foundation from which to pursue common goals and address common problems. 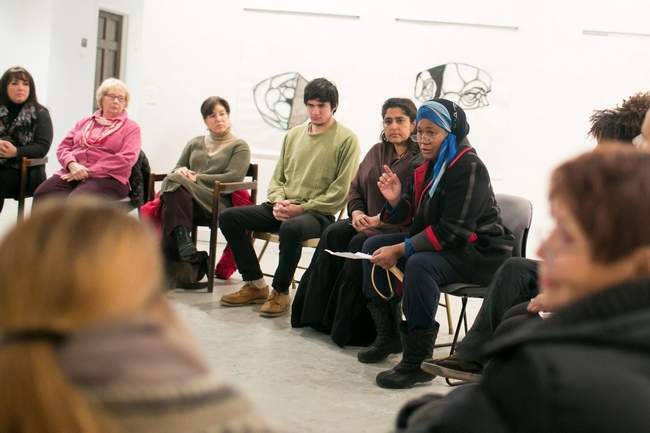 Once a community has built its bridges and connections, the community has the capacity to handle conflicts amongst its members through restorative justice circles. Rooting in the wisdom of teens, teachers, law enforcement, the incarcerated, neighbors & families. attend a community circle in the greater new york area.